"Where's my flying car?" has been the meme for impending technology that never materializes since before there were memes. And the trough of disillusionment for vehicles that can take to sky continues to nosedive, despite a nonstop fascination with flying cars and a recent rash of announcements about the technology, particularly from traditional automakers. 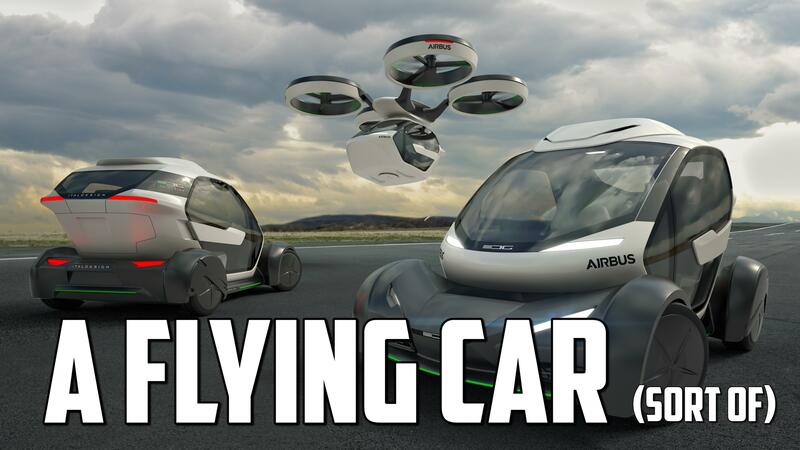 Earlier this month, Toyota applied for an eye-popping patent for a flying car that has wheels with spring-loaded pop-out helicopter rotors. The patent filing says the wheels/rotors would be electrically powered, while in on-land mode the vehicle would have differential steering like tracked vehicles such as tanks and bulldozers. At an airshow in July, Aston Martin unveiled its Volante Vision Concept, an autonomous hybrid-electric vertical takeoff and landing (VTOL) vehicle it developed with Rolls-Royce. Aston says the Volante can fly at top speeds of around 200 mph and bills it as a luxury car for the skies. Audi used the Geneva Motor Show in March to unveil a flying car concept called the Pop.Up Next it developed with Airbus and Italdesign. 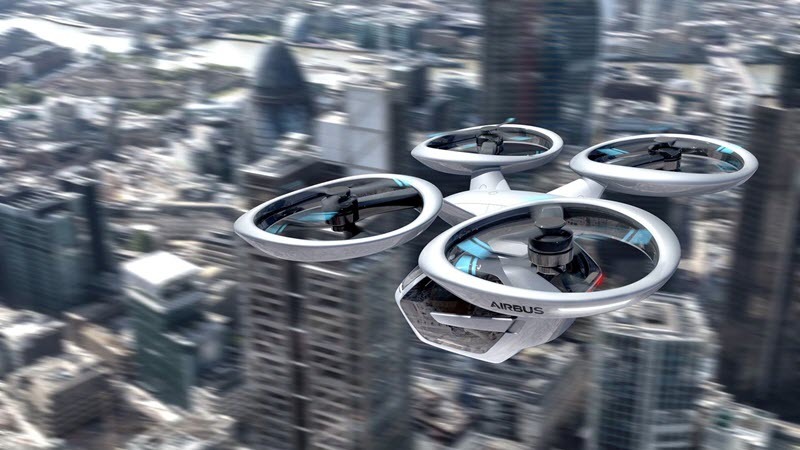 If the Pop.Up Next, an electric and autonomous quadcopter/city car combo, gets stuck in traffic, an app can be used to summon an Airbus-developed drone to pick up the passenger compartment pod, leaving the chassis behind. Audi said that the Pop.Up Next is a "flexible on-demand concept that could open up mobility in the third dimension to people in cities." But Audi also acknowledged that at this point it has no plans to develop it. The cash-stoked, skies-the-limit Silicon Valley tech crowd is also bullish on flying cars. The startup Kitty Hawk that's backed by Google co-founder Larry Page announced in June that it's taking pre-orders for its single-seat electric Flyer that's powered by 10 propellers and is capable of vertical takeoffs and landings. The current version can only fly up to 20 mph and 10 feet in the air and has a flight time of just 12 to 20 minutes on a full charge. The Flyer is considered a recreational vehicle, so doesn't require a pilot's license. Uber says it plans to launch its more ambitious Elevate program and UberAIR service in 2023. "Uber customers will be able to push a button and get a flight on-demand with uberAIR in Dallas, Los Angeles and a third international market," Uber Elevate promises on its website. The ride-sharing giant will employ a network of small, electric VTOL aircraft that flit between a network of "vertiports" that handle multiple takeoffs and landings and allow for quick charging or single-aircraft "vertistops." But Uber acknowledges "market feasibility barriers" to its lofty air-taxi plans, including battery technology, air traffic control, safety and, of course, regulation. In a recent extensive article on UberAir by CNET, Tim Schwanen, director of the Transport Studies Unit at the University of Oxford, said these strong headwinds are likely to keep UberAIR and flying cars in general grounded for quite some time. "At some point in the next years it will become increasingly clear that those expectations are unrealistic because technologies are not quite able to perform in the real world," Schwanen said. "Wider infrastructures need to change, insufficient capital is available, legislation proves much more difficult to change than previously anticipated," he said. "And there is actually very little demand for the new technology." Giving hope to those who still want to soar above traffic, last week China's news agency Xinhua reported that the Transition from Terrafugia, which is owned by Volvo parent company Geely, will start accepting pre-sales within a month and will be delivered to customers next year. The two-seat hybrid-electric Transition is a traditional fixed-wing aircraft, although the wings fold so that the vehicle can drive on highways or fit in a garage, and it has a range of up to 400 miles and top speeds of 100 mph. Pricing has not yet been announced, but in 2015 the company said that the Transition models would cost around $279,000. So whether the Transition ever gets off the ground, it's still won't be affordable for the gridlocked masses. And the rest of us will still be waiting for our flying cars. Maybe we should pin our hopes on jetpacks instead.